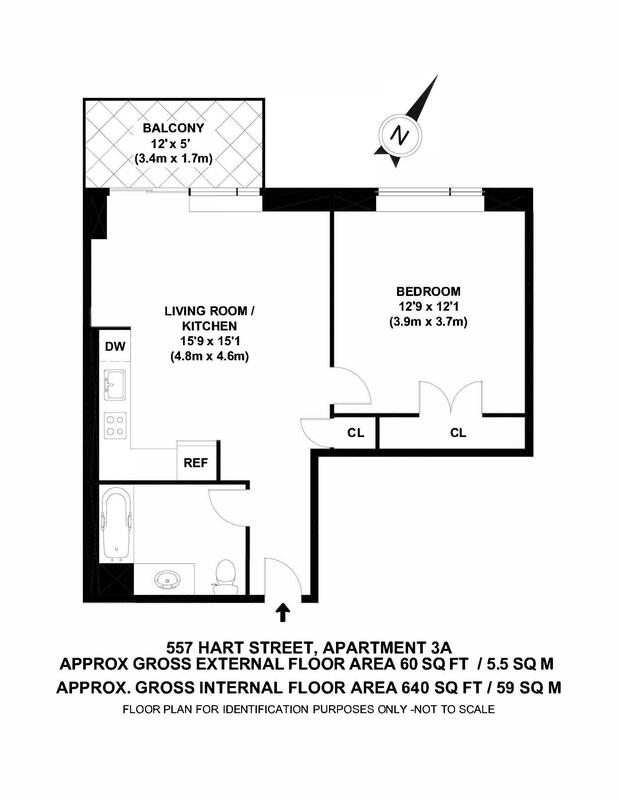 557 Hart Street, #3-A, Brooklyn, NY, New York 11221. 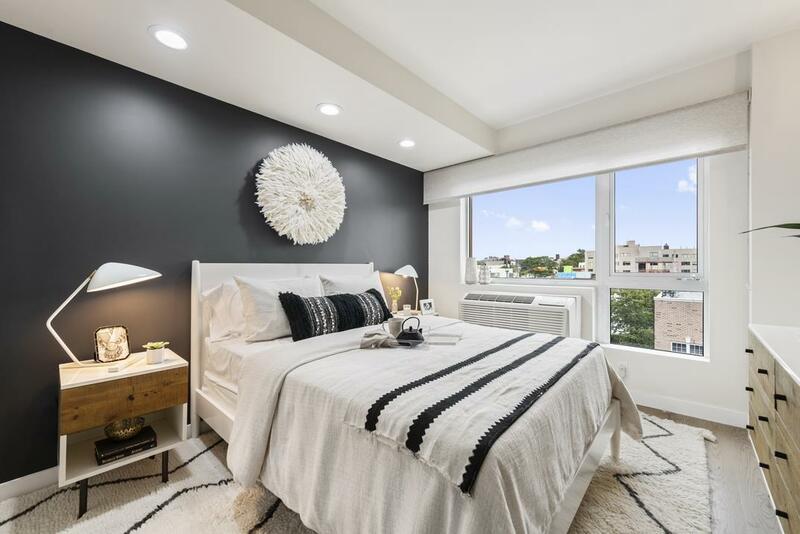 Our 1-bedroom, 1-bathroom condo is a luxurious blend of elegant finishes and natural light. 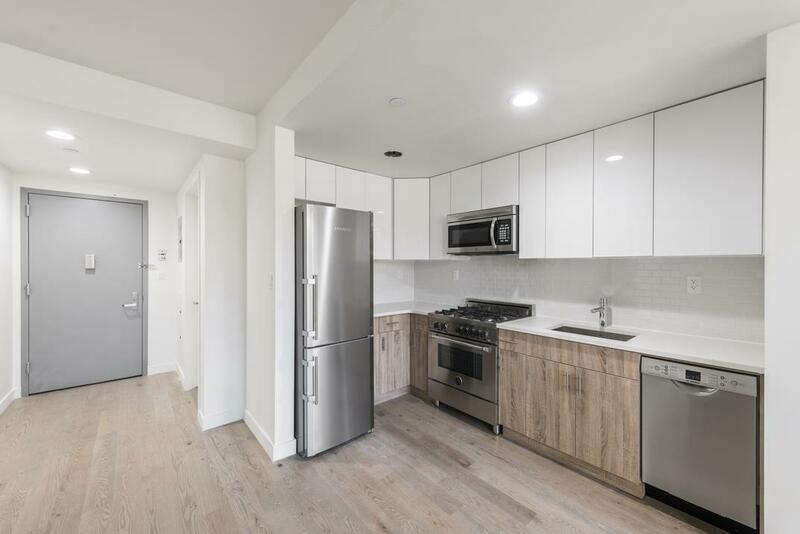 Features of this spacious residence include gorgeous white oak hardwood floors, a washer/dryer hookup, a video intercom system, airy ceilings and a climate control system in every unit. 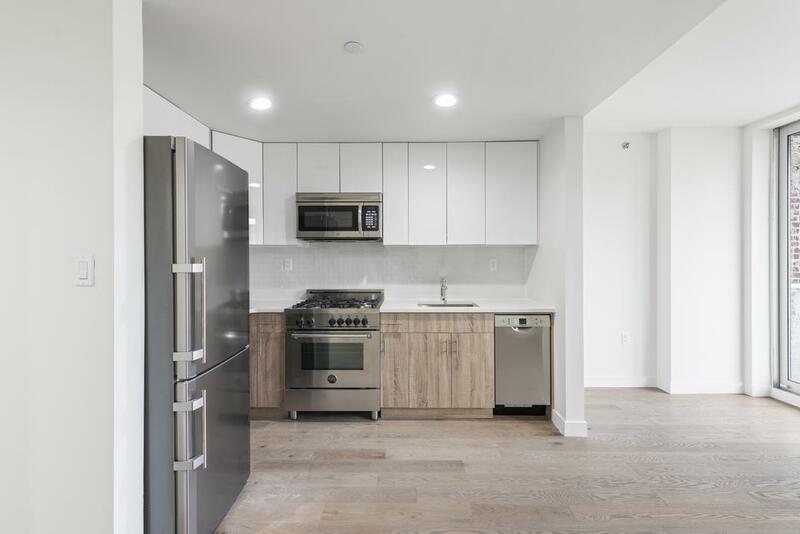 Upon entering, you have a large coat closet in the foyer area that leads to the spacious chef's kitchen that is equipped with sleek white quartz countertops, subway tile backsplash, self-closing drawers, and a high-end appliance package that includes a Bertazzoni range, and Bosch dishwasher. Leading to the large living room anchored by floor to ceiling windows that sit quietly over Hart Street. The spacious bedroom boasts an abundance of light and a very oversized walk-in closet.